Trophies, More Trophies and Medals at Atlanta Extreme Warrior Summer Challenge July 21! Karate students and teachers with advanced belts and trophies. At the end of the day of our Summer Intra School Classic, our teens/advanced student Weapons, Forms and Sparring Winners pose. It was a fun day from age 4 and up! 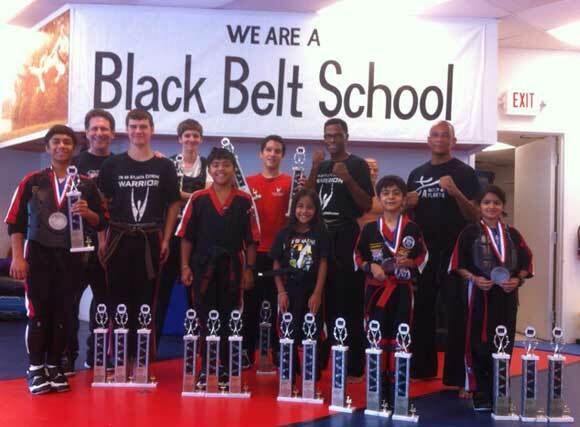 Trophies and medals lit the faces of our young Atlanta Extreme Warriors and Future Leaders!